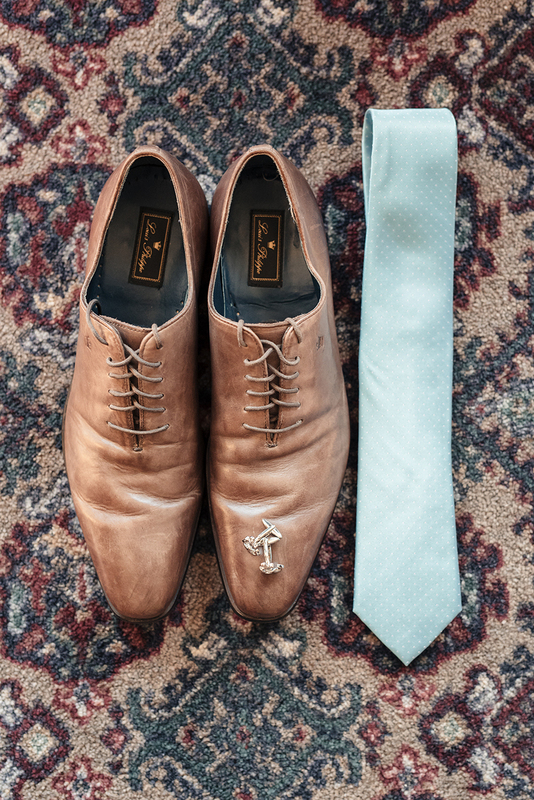 We love a couple who plans their day around their favorite things, and that's exactly what this couple did. 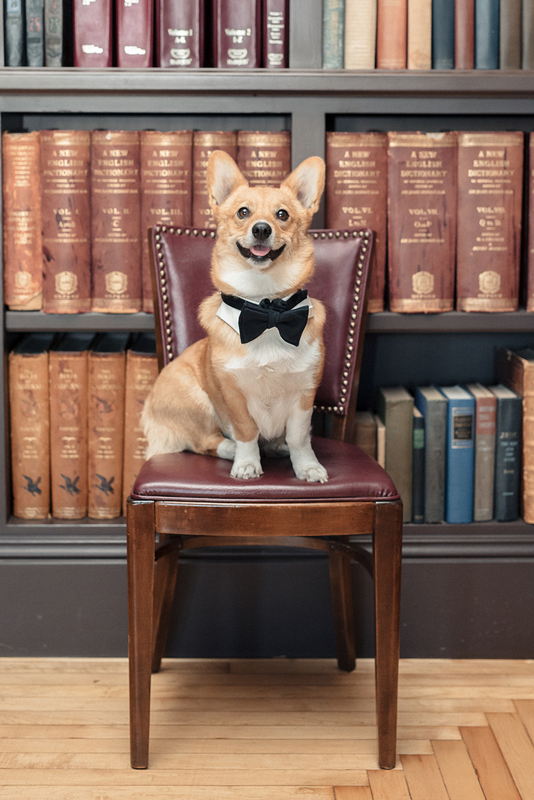 First things first, the couple chose their adorable corgi to be their doggie ring bearer and found the appropriate black tie attire for him. 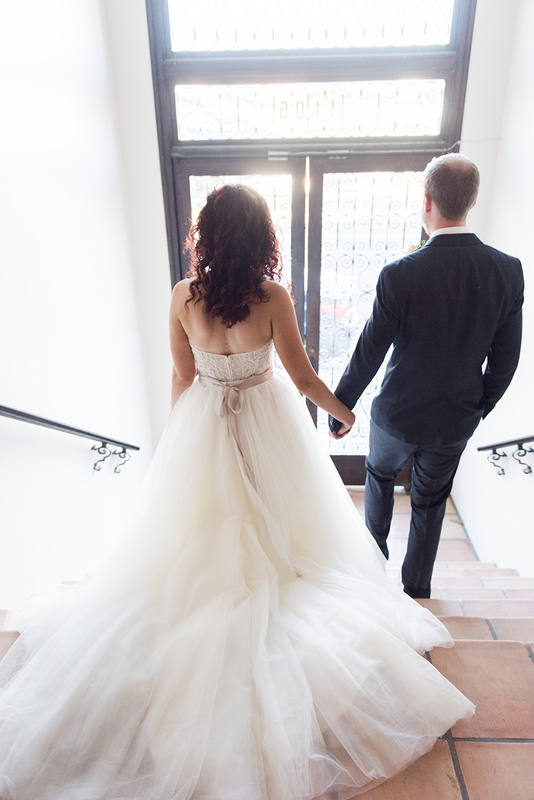 The bride went with a classic wedding dress with a full tulle skirt and sweetheart neckline. 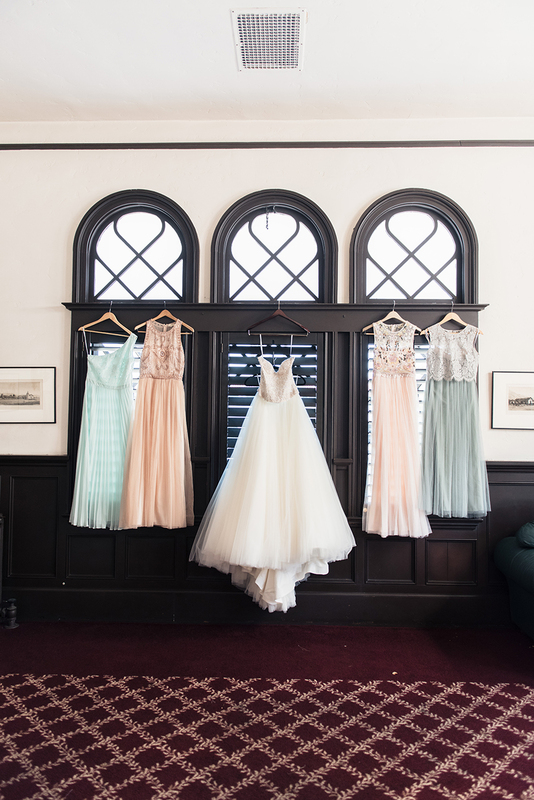 Bridesmaids wore mint and peach dresses of their choice. 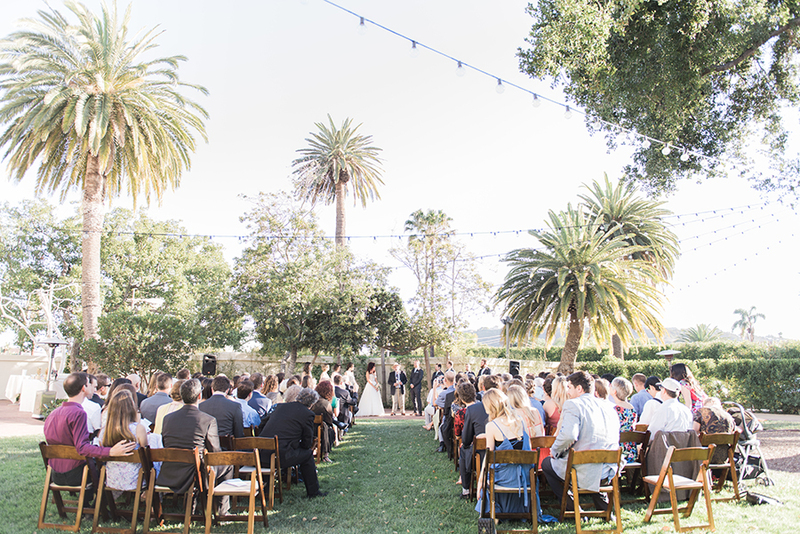 Ceremony was held outside on the lawn of The Santa Barbara Club. Afterwards, guests enjoyed an al fresco reception. Table decor was kept simple with spray painted pineapples in a palette of soft pastels and sequined runners added a little shimmer. All was captured by Molly & Co, photographer. 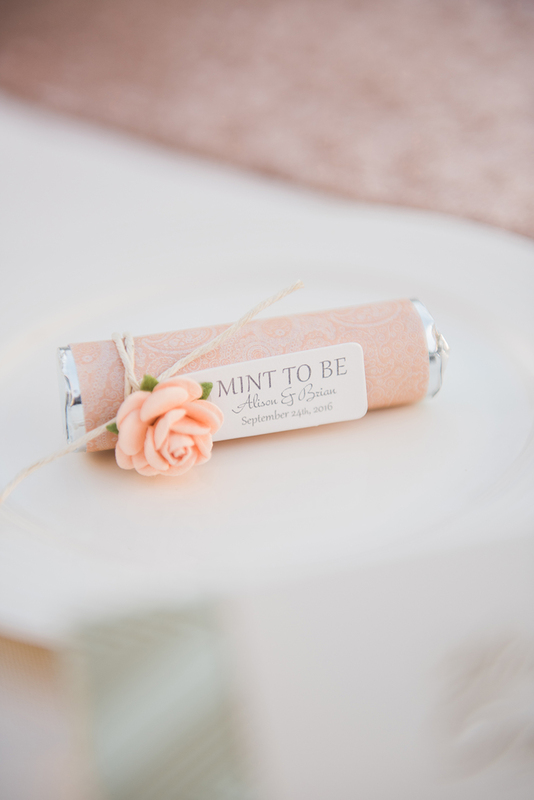 From the bride: "I was going for a carefree, beachy, and ethereal feel. 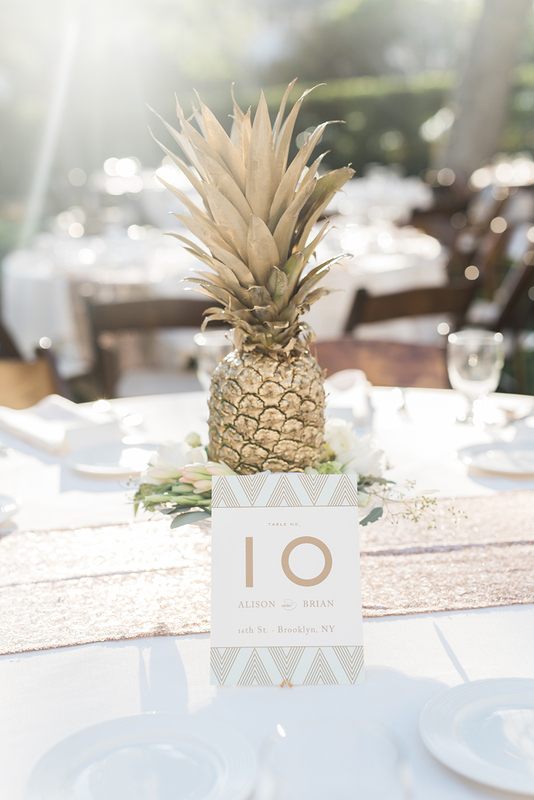 I chose shimmery pineapples as centerpieces, with gold, mint, and blush pink color accents. 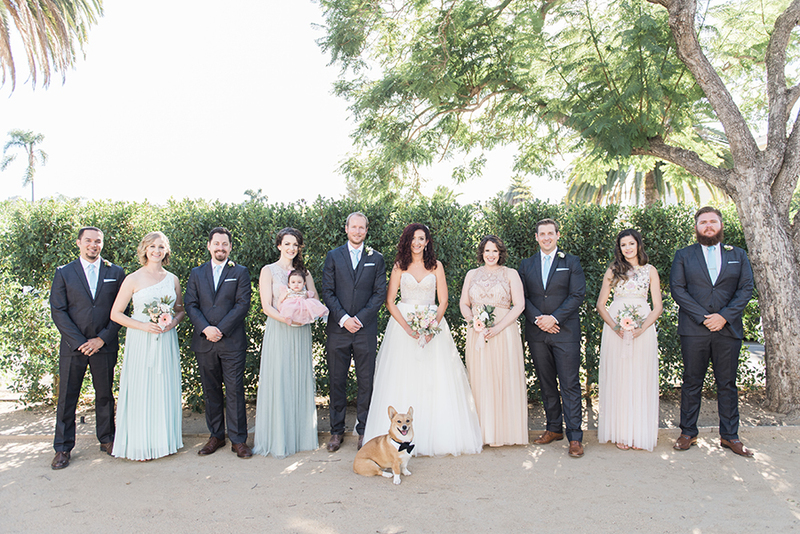 We wanted to be surrounded by things that make us happy, which is why we chose to have our dog, Roscoe, as part of our ceremony and reception. My bridesmaids had long, flowing dresses that they each picked out themselves; I wanted everyone to feel happy and glowing in what they were wearing. The venue was absolutely perfect, with the indoor and outdoor options. 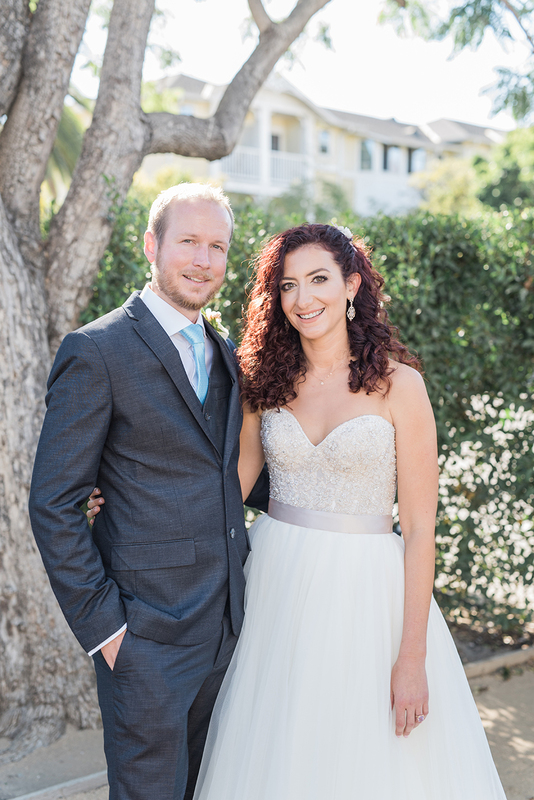 Our DJ kept the guests dancing all night, and the entire evening felt magical."